During the week running up to Christmas I popped into Urban Outfitters to pick up this scarf. As I whizzed out the store I noticed a gorgeous sweater.....I haven't been able to get out of my head since! I'm making it my mission this week is to go back and try it on. After seeing lots of my favourite Instagrammers sporting this shade with grey and I think pink could be the perfect anecdote to lift my wardrobe and see me into Spring. Naturally I've had a quick snoop around the High Street to see what else tickles me pink-wise. Luckily there are plenty of gorgeous things to choose from. I adore this coat from Topshop! I tried in vain to find a pink coat a couple of months ago but alas, my search was fruitless. However I think as the current weather conditions may be with us for a while I think this coat would still be a worthy wardrobe investment. 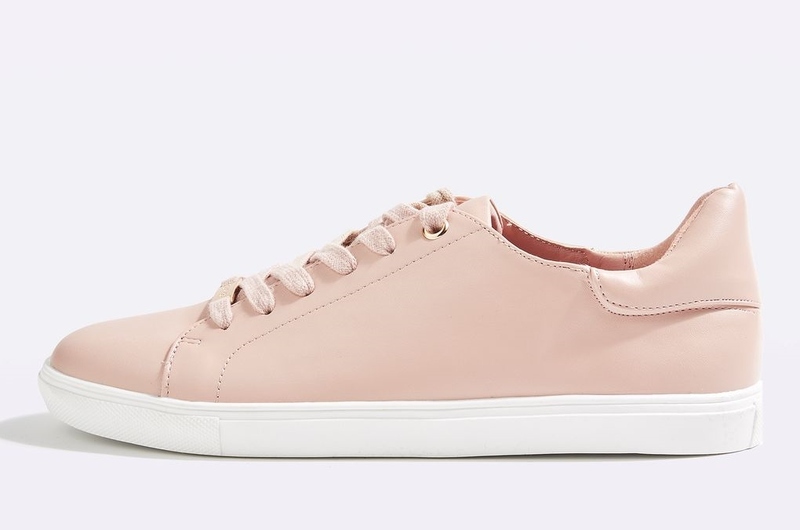 Good old Toppers have also come up trumps with these pastel sneakers........lush, is all I can say! They remind me of some Common Project trainers I saw a while back that I fell in love with. 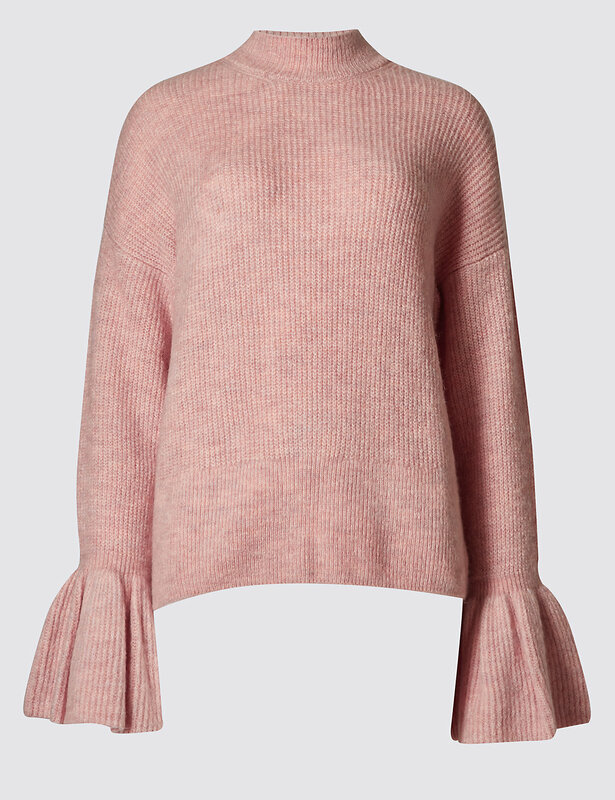 This little H&M blouse is a beaut too! Onto accessories! I love a good snood and this Mint Velvet one is divine.....perfect if you only want to dip your toe in the pink trend. Ending with a right old curve ball now! I mentioned right up at the beginning of this post that I'm swooning at all the pink and grey that I'm seeing on Instagram. 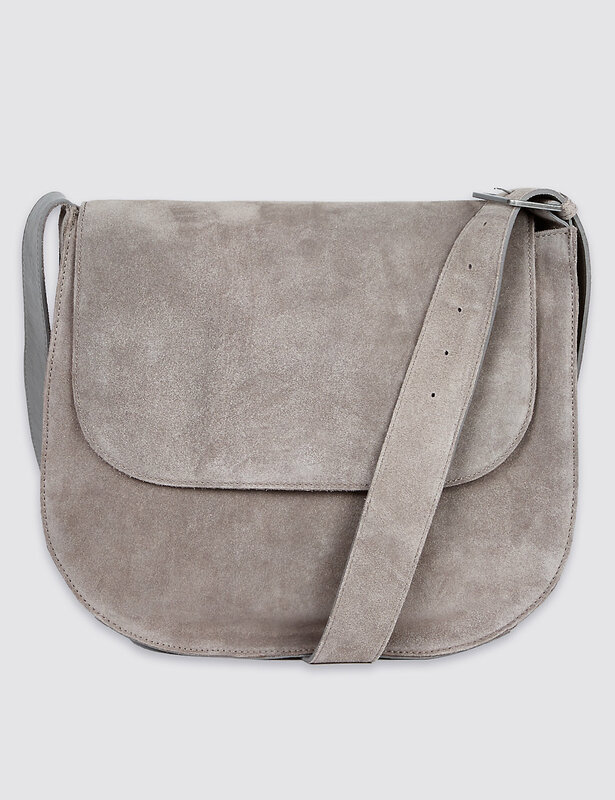 I saw this gorgeous suede bag in M&S yesterday.......it does not disappoint in real life. Would it be too cheeky to ask the Hubs to get me this for Valentines Day?! Here's hoping to a 20% off code between now and then to soften the blow! Lots of food for thought for me.....I'd love any of the above but I wonder which of the pieces will end up in my wardrobe. Watch this space! Are you thinking pink for Spring or is there another colour you've set your heart on? Now onto what I've actually been wearing! 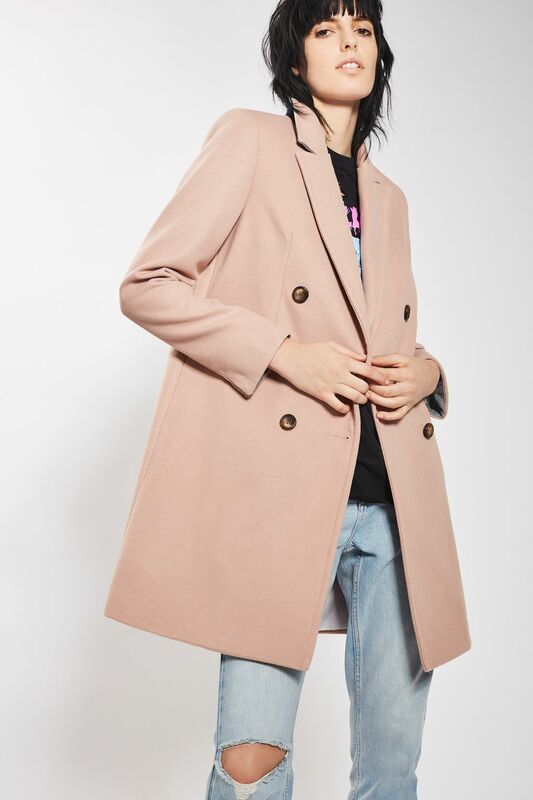 Zara coat, sold out brilliant alternative here for £27.60! Could this be the season I do actually inject some much needed colour into my wardrobe? I certainly hope so! 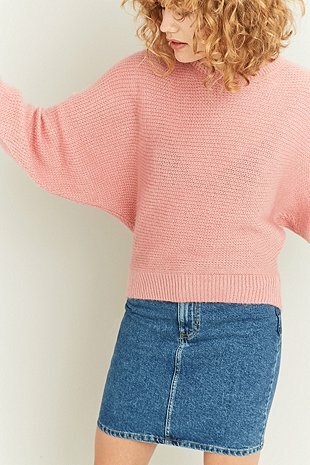 I'm looking to add a bit more red and maybe even some blue, I love this blouse here (it's the one above in my sidebar). I'll keep you posted on any colourful additions! I'll be back shortly with some more wardrobe revivers of the accessory variety! That Urban Outfitter jumper is the absolutely business, I'm assuming not in the sale? dressing down is the new dressing up!